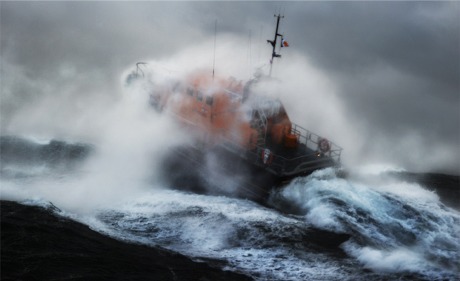 THE RNLI and Irish Coast Guard are to host safety events for Donegal fishermen later this month. The marine life-saving organisations have joined forces to host two important safety demonstrations aimed at making the industry "safer for everyone". The sessions will be held in Glengad and Bunbeg and will focus on the areas of stability, safety awareness and deck machinery. Safety demonstration on Tuesday, Jan 26 in Glengad Community Centre at 7pm. RNLI fishing safety manager Frankie Horne said: "I have been a fisherman for 37 years from cook, to deck hand to skipper. I am also a volunteer lifeboat crewmember with the RNLI. I have seen many things in the industry and we want to help foster and promote a culture of safety in the industry. "That starts with the fishermen themselves and with their concerns." He added: "We want the fishermen’s input into how to solve the problems in the industry that lead to loss of life or life-changing injuries. Fishing is still the most dangerous peace time occupation." Tuesday, January 26, 2016 at Glengad Community Centre at 7pm. Thursday, January 28, 2016 in the Bunbeg Coast Guard station at 7pm.